UPDATE 11:13AM: Earlier this year, the suspect created a video while attending the Windy City Times' Youth Summit. His closing thought? "Don't trust everybody at first glance...always be aware of your surroundings." UPDATE 2:45PM: DNAInfo Chicago has a story with details about the victim, a woman whose husband died from a long illness the night before this mugging. "Now that he attacked an old lady, I'm happy because now it is a serious crime." A Boystown purse snatcher was arrested less than 15 minutes after the crime Tuesday evening thanks to a quick response and GPS on the victim's phone. Officers responded to the 7-Eleven at Roscoe and Halsted just before 8PM Tuesday to assist an "elderly woman" whose purse had just been taken. The offender fled south through the alley behind Progress bar and Sidetrack, according to witnesses. Minutes later, the victim's phone was "pinging" near Broadway and Belmont. Officers zipped over there and found a person matching the offender's description—male, black, 18-20 years old, wearing a camouflage shirt—inside Brazilian Bowl restaurant. Property belonging to the victim was found on the suspect who was positively identified by a witness. He also led officers to a dumpster where he threw out some of the victim's property behind the 600 block of Aldine. An officer retrieved the additional items and returned them to the victim. 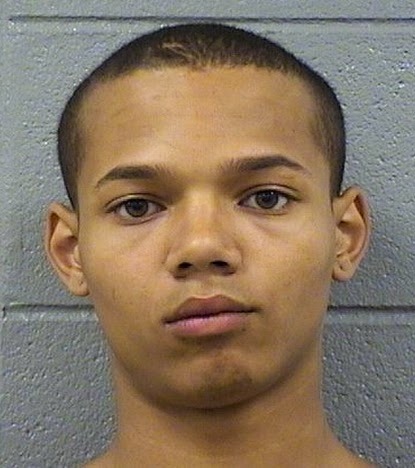 Robert Vacha, 21, of the 5500 block of South Wabash is charged with robbery of a senior citizen. Bail is set at $250,000. CPD case number is HX394513. Vacha has no previous adult criminal charges according to Cook County Criminal Court records.